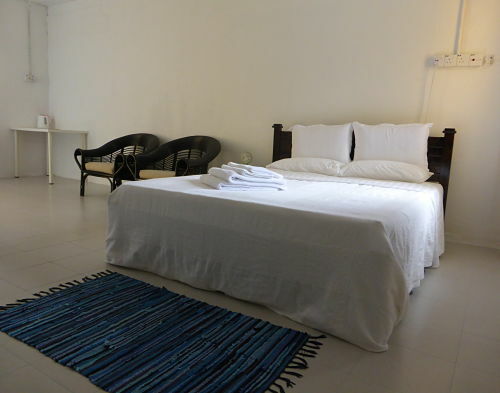 The accommodation is quiet and spacious, with a double bed (queen size) and the possibility of an extra mattress (single size) with a maximum occupancy of three people on the same booking (i.e. you won't be sharing with strangers). Please note that we have just one room and it is only available on a first-come first-served basis. (Please note - there are no cooking facilities). If your arrival flight gets in late (after 15.30) or your departure flight leaves early it may be possible to stay for an additional night before and / or after your retreat (subject to availability. Additional charges apply). Please note that meals are not included and the accommodation does not have cooking facilities. Pantai Cenang has many restaurants that cater to all budgets and tastes. Late check-out (with no extra charge) is subject to availability. 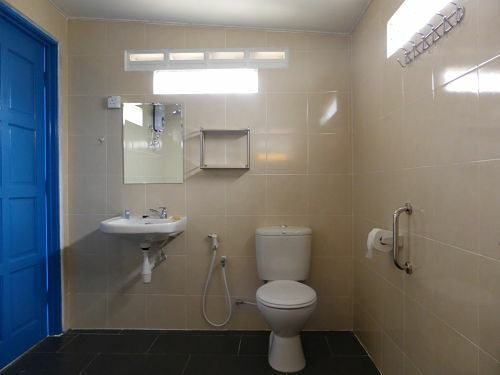 Guests are expected to keep the accommodation clean and tidy. We do not provide houskeeping services. Strictly no smoking, drugs, alcohol, loud music, or incense burning. 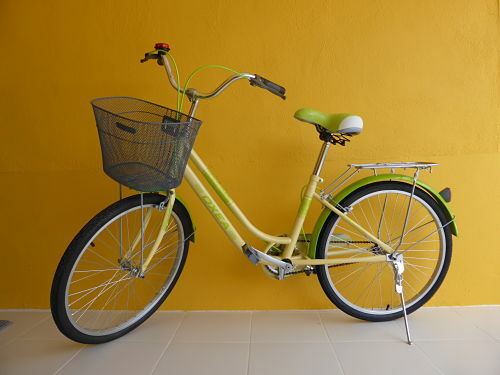 Guests staying at Yoga Now have bicycles available for use free of charge, ideal for exploring the immediate vicinity, or for getting to and from the beach or restaurants in Pantai Cenang. 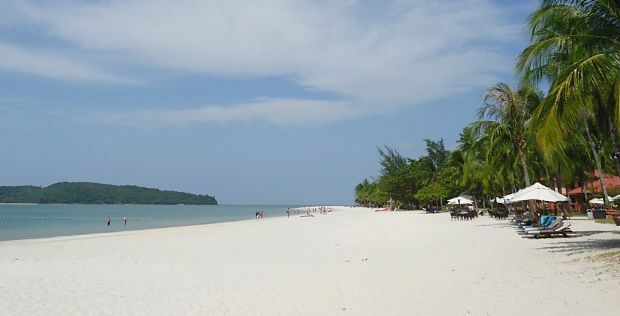 The trip to Pantai Cenang from our yoga studio (3.5 km) takes about 15-20 minutes by bicycle. If you can't ride a bicycle you may want to rent a scooter or car (there are many rental outlets in Pantai Cenang). There is also space for parking if you are renting a motor-scooter or car. GRAB ride hailing is available in Langkawi and more reasonably priced than taxis. Bear in mind that Langkawi is predominantly Muslim and many locals are quite traditional in their outlook. If you are walking or cycling through the kampung please respect local sensitivities and avoid wearing overly revealing clothing (e.g. bikinis or speedos). This applies to both men and women. In the interests of energy conservation we request that guests only use air-conditioning while in the room and with the doors and windows closed. Also please turn off the lights and fans when not in the room. Alternatively, you may choose to arrange your own accommodation and transport and still join our yoga retreats at our yoga studio. Sometimes travel agents offer good package deals with flights and accommodation included. 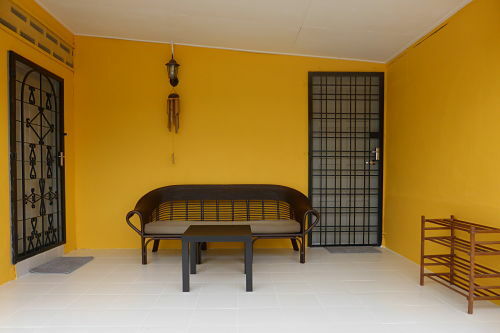 Retreats without accommodation do not include airport pick-up & drop-off. Contact us for price details for longer retreats. Retreats can be a maximum of 14 days.